The Tone 2 Tone pants can be worn night and day. 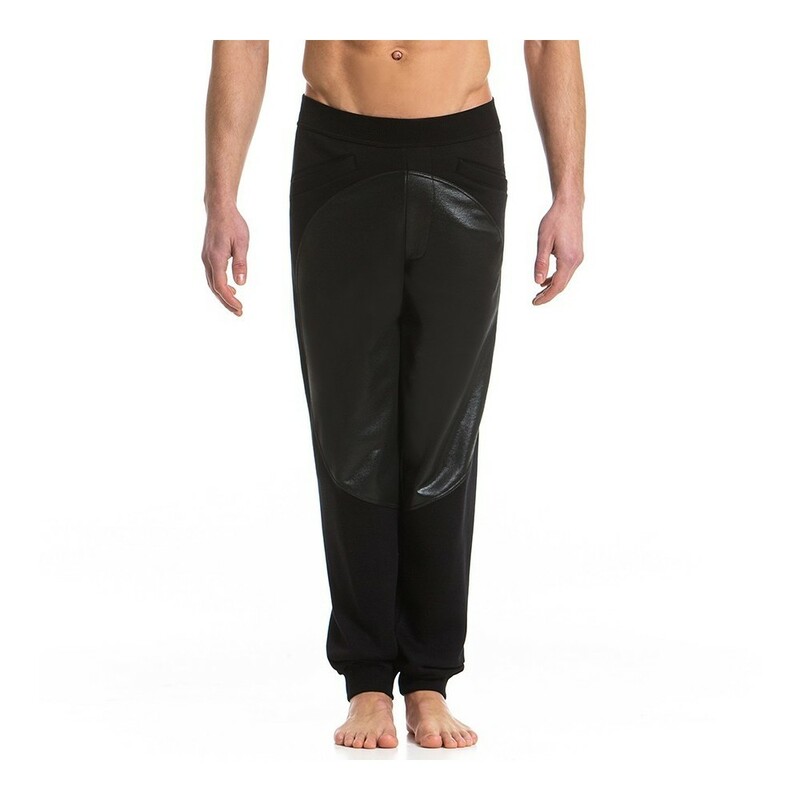 Whether you are at the gym or to the club these pants will sure make you feel comfortable and stylish. A bit loose fit and drop cross style, these pants are Imitating the traditional chaps , the central shiny, leather like,( cotton polyester) fabric part, is framing/ featuring a complete circle. Perfect choice to pop up your dark futuristic self.